At the highest level, what are the goals for collections vis a vis budgets? Achieve a sustainable budget that supports research and teaching at UCB, in the face of current budget reductions, ever-increasing costs, and the campus need for new types of materials. Fairly distribute resources among disciplines. What principles and strategies did you use as guides to reducing expenses? Each resource will have a positive impact on scholarship. The current price and recent history of price increases by a publisher/vendor is considered relative to the use of a given resource. We prioritize original content, and avoid duplication of content/indexing. We engage in cooperative agreements/memberships to leverage accessible resources when appropriate. The following general tactics and areas of inquiry guided our process as we proposed and made decisions about reductions, allowing for exceptions as needed. Reduce duplication of journals in multiple formats. Reduce duplication of content among print, microfilm, electronic or multiple physical locations. Reduce indexing and abstract databases based on review for duplication of coverage, usage, etc. Focus content discovery through a smaller portfolio of discovery and indexing tools. Nominate resources that we could negotiate with vendors for lower costs; consider switching vendors based on offers received. Review print reference subscriptions to identify possible cancellations. Nominate resources for which to negotiate better prices. If I missed the February - April 6 comment period, can I still send my comments? At any time, your subject librarian will be happy to speak with you. You can find their contact information in this directory. Or you can email scholarly-resources@lists.berkeley.edu. Library Communications will be happy to help you. Please send a request to librarycommunications@berkeley.edu. How are faculty and departments being involved? A CalMessage was sent out to each faculty member and graduate student in early February, inviting them to provide comment. All comments were taken into consideration when making final decisions about cancellations. Scholarly resources are materials that are needed by UC Berkeley faculty and students, including but not limited to books, journals, archives, audio and visual recordings, data files, databases, and other collections in either print or digital format. Why is the University asking the Library to reduce its budget? The Office of the President has required the Berkeley campus to close its structural budget deficit, and has imposed a four-year plan to accomplish this. The campus has imposed budget reductions on nearly every unit and division in each of the last two years, and expects to do so for at least two more years. Are there other reasons for the Library to cancel journal subscriptions? For many years, market power in the scholarly publishing industry has been increasing. As a consequence, the price of scholarly resources has been increasing faster than general inflation: in recent years, journal and monograph prices at a rate of 3-5% per year. In addition, journal publishers are proliferating the number of journals published. The combined effect is a persistent and rapid increase in the cost of scholarly resources. The campus cannot spend an ever increasing share of campus funds on journals and books unless they are willing to spend less in other areas. Inflationary increases make it difficult to maintain the quantity and quality of materials. How might the Library address this issue, so that scholarly resource budgets stretch as far as possible? 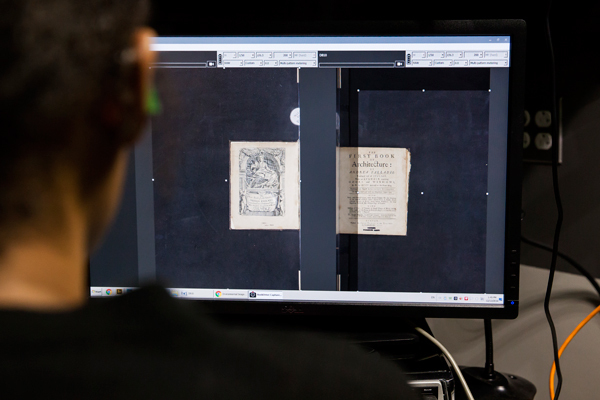 The Library's collections support scholarship and teaching across the University's broad range of programs in the humanities, area studies, social sciences, and sciences, as well as an expanding set of interdisciplinary initiatives. The Library continues to purchase and/or license items that have the greatest scholarly impact. And we are investing in a solution to the issue--we have created a new Office of Scholarly Communication Services to promote dissemination, accessibility, and impact of materials and to help transform the scholarly publishing landscape. Has the Library reduced scholarly resources in the past? Yes. The Library has reduced scholarly resources in the following fiscal years; each reduction resulted in reduced access to both journals and monographs: $1,276,025 total taken across fy 2010 and 2011; $600,000 in fy 2005; $700,000 in fy 2004. What is the total dollar amount of the reduction to scholarly resources? We have identified $1.5 million in expenses related to scholarly resources that we will discontinue beginning July 1, 2018, representing 7.9% of the total scholarly resources budget. Why can't the Library take money from other parts of its budget -- salaries or other Library services and operations? The Library has worked to align our reduced budget with the priorities outlined in our strategic plan. To this end, the Library is reducing other parts of our budget. In addition to the scholarly resources reduction, the Library identified salary savings (through retirement, open positions, or positions moved to one-time strategic gift funds) and operational savings. Reduction in these three areas allowed us to hit the expenditure reduction mandated by campus. How will we rectify the gaps these reductions create in our historic and future scholarly collections? The Library--and Berkeley at large--are looking to find new sources of funding through philanthropy. We are looking for ways to be more efficient in our operations so that we can redirect funds to our collections and our highest priority services. And we are going to rely more heavily on our ability to share material with other institutions, which results in greater access to a greater diversity of materials for scholars across the globe. Will current serials reductions erode our reputation as a research library offering deep and rich journal collections for scholarly inquiry? This effort will not cause the Library to reduce the size of our current collections or eliminate the materials we already have. It will reduce the number of new things we acquire or license. Berkeley will still be one of the largest collecting institutions in the country. What plans are in place to reinstate the budget for scholarly resources? Any cut is a cut we don't want to make. But in the face of ongoing reductions in state funding-per-student and Berkeley's major budget deficit, the Library was given no choice but to reduce the resources devoted to some core services. The collections reduction is only part of the Library-wide budget reduction, which is spread across our services. Given the current financial outlook at Berkeley, there are no specific plans to reinstate the budget. However, the Library will continue to pursue outside sources of funding for scholarly resources and other vital services. Berkeley has over 400,000 living alumni who are passionate about their experiences here. They care deeply about future generations of Cal students. And they believe in the value of the Library as a cultural heritage institution that preserves and shares the world's knowledge. We are investing heavily in the Library's fundraising operation so that we can better connect passionate supporters with the Library's rich programs and services. How is the reduction being distributed across subjects? What was the process for the budget reduction review for scholarly resources? Within each subject area division, the librarians met together to develop proposed actions for meeting their division's budget reduction. The subject librarians are in close contact with faculty, instructors, and students on a regular basis, which informed their thinking during the first round of review. Once the initial set of proposed reductions was prepared, a comprehensive list was published, along with this guide. The EVCP and University Librarian wrote to all campus faculty and graduate students asking them to review the list and offer comments. The Library and the Academic Senate Library Committee also sought comment from other constituencies. After the close of the comment period (in early April), the librarians in each division reviewed their list of proposed cuts in response to comments received. The final list of cuts is now available at Reductions. What types of actions are being considered to reduce spending on materials? Subject librarians regularly consider many cost-saving strategies including working with vendors to increase discounts; review of duplication across units or material formats; relying more on interlibrary borrowing for materials that are not a priority to purchase; reducing database subscriptions; reducing journal subscriptions; and reducing purchases of monographs. Why is the library focusing first on canceling serials? Will the Library also spend less on monographs? All reviews began with identifying serials that could be eliminated; some reduction in monographs will occur given the size of the reductions needed. If the Library cancels some journals and purchases fewer monographs, how will I get my research done? Is it possible to borrow materials from other research libraries? The Library routinely borrows or otherwise acquires materials that campus researchers need but that aren't available at Berkeley. Interlibrary Services (ILS) is available to help you. Berkeley participates in a robust system of borrowing and lending among UC Libraries and Stanford, and if an item cannot be provided from these institutions, ILS has agreements across the nation and with some foreign countries. Most article requests are filled within five days of submission. Books borrowed from Stanford and other UC campuses typically arrive within two to five days. Items from out-of-state or international sources take longer. In cases of particular urgency, ILS may be able to expedite delivery. Could the Library save money if it purchased only online journals? There is a wealth of content wanted by our researchers that is not available online. That said, we have proposed canceling print or microfilm when an online version exists. Many of our users favor online over analog, which allows us to reduce direct costs, save the costs of long-term storage, and reduce staff time needed for stacks management. Why doesn't the Library cancel expensive science journals and packages? The Library is canceling serials across all disciplines including the sciences. Each division's reduction was proportionate to their annual budget. How do I let someone know I am concerned about a potential cancellation? In cases where you feel the Library should retain a title that was slated for cancellation, please let us know how it supports the teaching and/or research needs of your program, department, or college. Send your comments to your subject librarian or send a query to scholarly-resources@lists.berkeley.edu. We will get back to you quickly. Please do understand that we have no choice about the amount of spending reduction, so restoring any titles will require cutting others. Work with subject librarians in your area to provide advice on the best possible decision under the circumstances. Support efforts to raise revenue from other sources--please discuss ideas with your subject librarian. Help to change the scholarly publishing market. See the Library's Scholarly Communication Services for more information about open access publishing and affordable course content. How do I provide the Library with a portion of my grant or departmental money to support research needs in my area? There is a long history of faculty sharing funds with the Library, and we deeply appreciate the support. Speak with your subject librarian (directory) about your ideas. If we have a print copy, then we own that print copy, forever. If we cancel an electronic subscription, can we still access the content that we paid for? Generally, selectors canceled print subscriptions when the online version included perpetual access.